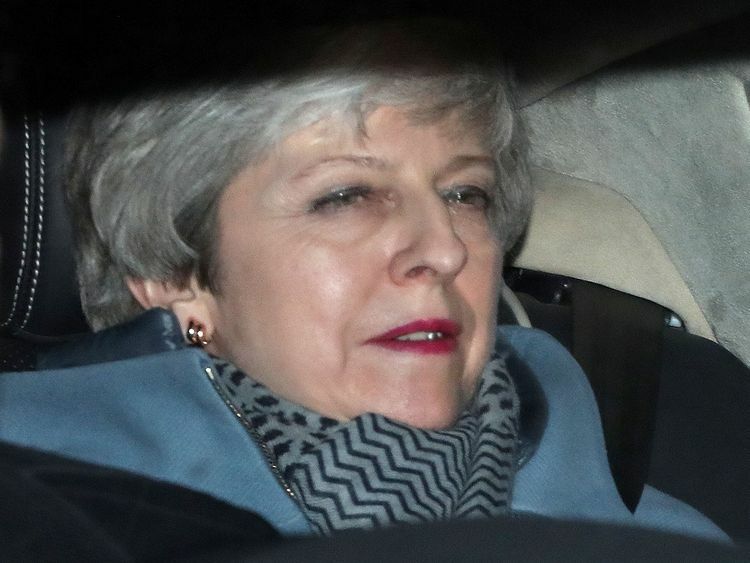 London: British Prime Minister Theresa May failed to sway hardline opponents of her European Union divorce deal on Wednesday with an offer to quit, but parliament’s bid to agree an alternative fell short, leaving the Brexit process as deadlocked as ever. “I know there is a desire for a new approach and new leadership in the second phase of the Brexit negotiations and I won’t stand in the way of that.” But within hours of May’s offer, the Democratic Unionist Party, which props up her minority government, said it would vote against the deal if May brought it back a third time. 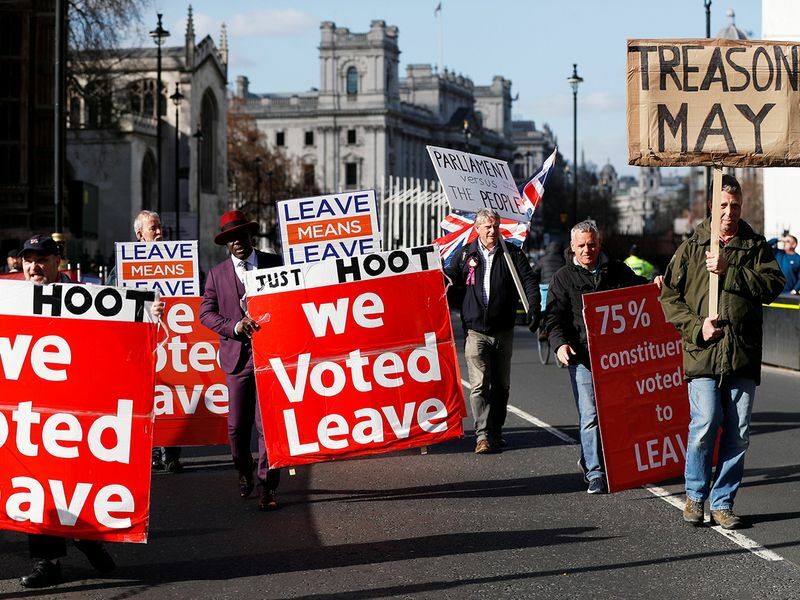 British MPs on Wednesday voted against all eight alternative Brexit options aimed at overcoming the deadlock over Prime Minister Theresa May’s unpopular European Union divorce deal. The options being voted on included negotiating for closer economic ties with the EU after Brexit, holding a public vote on any deal or stopping Brexit altogether. UK parliament's debates on eight selected alternative plans (that don't include May's plan) has ended and the MPs have been requested to vote. The results will be announced by the speaker later tonight. Downing Street has now officially confirmed what the prime minister told MPs, BBC reported. “This has been a testing time for our country and our party," she said. "We’re nearly there. We’re almost ready to start a new chapter and build that brighter future. But before we can do that, we have to finish the job in hand." “I have heard very clearly the mood of the parliamentary party. I know there is a desire for a new approach – and new leadership – in the second phase of the Brexit negotiations – and I won’t stand in the way of that." “I know some people are worried that if you vote for the Withdrawal Agreement, I will take that as a mandate to rush on into phase two without the debate we need to have. I won’t – I hear what you are saying." “But we need to get the deal through and deliver Brexit." Conservative MP James Cartilage told the BBC that Mrs May told the 1922 Committee she will not be leader for next phase of Brexit negotiations. "My recollection is that she said she would not remain in post for the next phase of the negotiations, the implication being that once the withdrawal agreement has passed, she would make way for someone else," he said. Britain's divided parliament holds a flurry of votes Wednesday seeking a last-minute alternative to Prime Minister Theresa May's unpopular Brexit plan. Three years of political turmoil that followed Britain's decision to break its near half-century bond with the European Union were meant to have ended on Friday with the formal completion of the divorce. But House of Commons leader Andrea Leadsom said on Wednesday "there's a real possibility" that May will try again on Thursday or Friday. "The objectives we should all have is being able to deliver Brexit," May told lawmakers on Wednesday. "A way of granting Brexit is supporting the deal." May is still desperately short of votes and a third successive defeat would weaken her further. EU leaders have given Britain an extended deadline of April 12 to get May's deal ratified or find a new way out. Failure to do either could result in the sides splitting without a plan forward - a scenario that frightens the markets and business on both sides of the Channel. "The prime minister is failing to deliver Brexit because she can't build a consensus," opposition Labour party leader Jeremy Corbyn told parliament. "Either listen and change course or go. Which is it to be?" Parliament has decided to try to break the deadlock by giving itself the right to choose from a variety of alternatives to May's plan. It will vote at 1900 GMT on options that range from a second referendum to recalling the EU withdrawal notice and maintaining ties with the bloc. May's own deal is not one of the 16 proposals submitted for debate to parliament speaker John Bercow. He will announce the ones that are on the agenda at around 1530 GMT. Her government is banking on anti-EU rebels getting frightened by the prospect of Brexit being either overturned or watered down. She has already won the backing of Jacob Rees-Mogg - the ultra-conservative who heads the European Research Group (ERG) wing of her party that twice voted against the deal. "I think we've got to the point where legally leaving is better than not leaving at all," he told BBC radio on Wednesday. Other holdouts are making their votes contingent on May's promise to step down and let another leader negotiate the next stage of the process. "I said that we should be open to a long extension if the UK wishes to rethink its Brexit strategy, which would of course mean the UK's participation in the European Parliament elections," Tusk said.